Heart Formed Stethoscope Against Background Of Electrocardiogram (ekg). 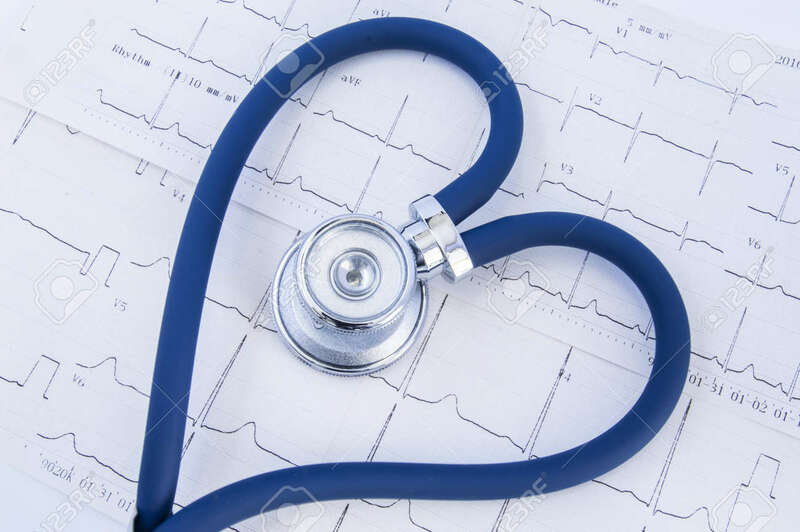 Head Or Chestpiece And Flexible Tubing Of Blue Stethoscope Folded Into Heart Shape, Which Lies On Printed Electrocardiogram Royalty Free Stok Fotoğraf, Resimler, Görseller Ve Stok Fotoğrafçılık. Image 89407616.